DH also shaves his head. I used to cut his hair every week with a #1 blade. Once he left the military and had more freedom, he decided to take it all off. He looks good bald. He just heard about a new blade system for heads…www.headblade.com but we haven’t done anything other than look at the site. It may be an option in the future. In the meantime DH uses M*ch 4 blades and a women’s shave gel. He gets a great shave without any nicks! I can’t believe you just made a post about how to shave your head. I loved your “related posts”… it said, “DonÃ¢â‚¬â„¢t Make These Mistakes While Job Hunting”. What do you have to say about that Andrew? I’ve heard that a lot of people like the Mach 4 razor. And I’ve run across Head Blade before as well. Personally, I got fed up with all those fancy razors and super-duper quadruple-bladed gadgets. That’s why I went to the classic safety razor and badger brush. But I’m weird. Lucky for me, I’m no longer job hunting. That’s one reason I shaved my head this summer. I’m just studying for the bar, and my books don’t mind if I look a bit freaky. Also, some people can really pull off the bald look. I found out that it’s not for me, but some people can do it. So it could actually be fine for job hunting, who knows? Andrew, I can understand your love of the badger brush and a cake type shaving formula. Both my Dad & DH used these. Unfortunately these seem to have disappeared from the CDN retail shelves. Another case of not enough demand to justify its production and sale. Too bad for the environment – so little packaging and such a long lasting ‘friendly’ product. 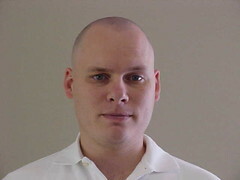 We have thousands of head shavers that visit and contribute to the site. I haven’t found any classic shaving supplies at the retail stores around me. However, ClassicShaving.com has anything a guy could need, with pretty good prices and speedy shipping. Thanks for stopping by. It looks like you guys have a great community over there. Keep up the awesome work! So Andrew, the question is .. are you going to change the header picture on the blog? No, I don’t think I’ll change the header image. I thought about it, but I’m growing the hair back. So I’ll keep that image, since it’s really more my style. Thanks for the article. I haven’t got a hair cut in 9 months. I shaved my head for the first time a few days ago and its one of the best things I’ve ever done. I’m glad you’re enjoying a slick new look. You’ve definitely made my day with your great comment. I shaved my head also because I was thinning. It looks really cool though I wish I did it earlier. I’ve been maintaining shaved head for about 3 years now. I recently spent six months in SE Asia and paid barbers to shave me almost all the time (Paying about $2 on average). I found that regardless what kind of razor they used, the majority of barbers didn’t use shaving cream at all. Since then I stopped using shaving cream for my scalp. Just make sure your head is thoroughly moist and you don’t need it. Oh… and make sure you rinse your head and blade often. glad to see you took the plunge. like Geordinary, i have been doing it for a few years now also. I havent tried the headblade yet, but hoping to soon. I never see it in the local pharmacy. and like Esthetician says, sun care is a must. I get sunburn on my head all the time now. I think you should try long hairs once or release any long hair picture of your. I am imagining how you would look in long hairs. I might try photoshop to figure this out. There is lots of quallity intoformation hidden in that bald head. I never shaved my head like that. You might get a kick out of a video that was shot at my work….